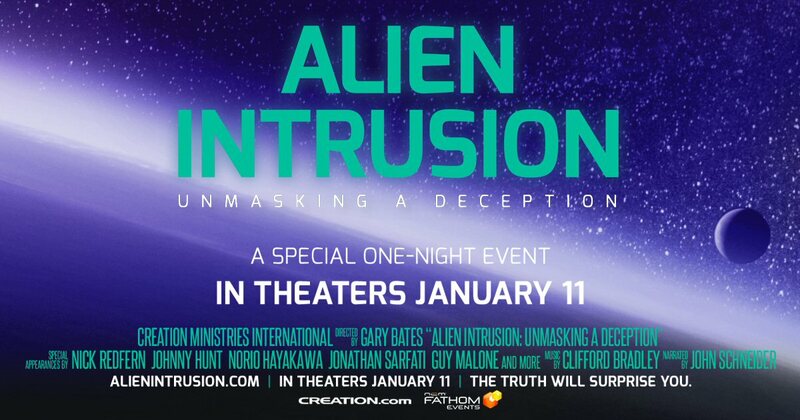 On January 11, 2018 the documentary Alien Intrusion Unmasking the Deception invaded the Opry Mills Stadium 20 in Nashville, Tennessee. The film was presented one-night only, nationwide by Fathom Events. The movie which is available for pre-order on DVD or Blu-Ray is based on Gary Bates’ 2005 book which examines the UFO phenomenon in context of science and religion. Millions of people have reported seeing UFOs (unidentified flying objects) with some claiming to have had personal encounters with advanced aliens from other parts of the universe. Alien Intrusion Unmasking the Deception was both an educational and entertaining examination of the beliefs, events and experts who have shaped our opinions of UFOs. The documentary opens with a look at science fiction, a genre that embraces space travel and fuels the idea of evolved beings traversing the galaxy and perhaps influencing the evolution of life on earth. Folks are fascinated by this topic, which presents itself as an ongoing mystery to be solved by “ancient alien theorists.” Consider all the cable shows dedicated to UFOs to comprehend how our culture is saturated with the subject. The Alien Intrusion book along with the documentary presents a different perspective of this phenomenon. First, they explored space travel from a scientific standpoint, concluding that distances, energy required, physics and time makes it highly un-likely that aliens have visited our planet. So how do they account for the numerous encounters and sightings? Alien Intrusion Unmasking the Deception states that over 90% of UFOs can be explained as planes, weather balloons and more. Ok – but what about all the abductions? Their answer is scarier than aliens – demons – the ultimate Star Wars battle between good and evil. Alien Intrusion Unmasking the Deception featured experts along with experiencers to shine further light on this compelling, controversial topic. The film was narrated by actor, director and producer John Schneider known for his support of faith-friendly films. A number of scientists along with the book’s author/CEO of the apologetics ministry Creation Ministries International shared their insights on aliens. Lastly, Nick Redfern who is highly regarded as a modern day UFO expert provided additional support of the film’s viewpoint. Nick regularly appears on TV shows such as the History Channel’s Monster Quest and UFO Hunters; the National Geographic Channel’s Paranormal and the Syfy channel’s Proof Positive. Pastor Dr. John Hall states, “the movie, Alien Intrusion: Unmasking the Deception is a sobering and scientific analysis, exploring the UFO phenomenon. 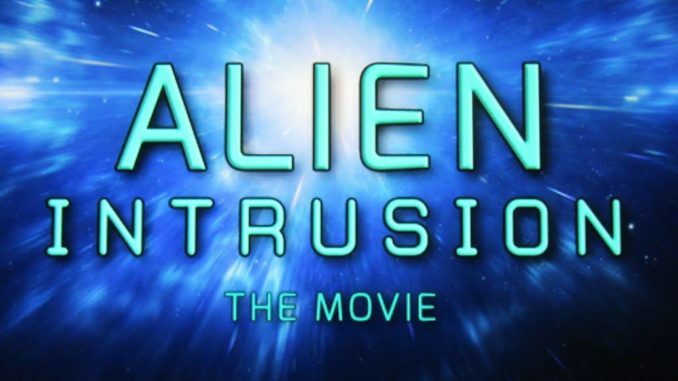 Beautifully produced, Alien Intrusion is expertly scripted and biblically bold. The long and credible list of eyewitnesses move the film toward an essential question: “What are the origins of these unidentified and mysterious beings?” The truth is a powerful confirmation of the reality of Scripture.” For us it was a well-organized film following a time line from radio days to the present. They examined the scientific and spiritual aspects of aliens. They clearly answered the question of who these beings are and concluded that Jesus Christ is humankind’s only hope. Fathom Events began in 2002 as an experiment – a test to see whether the movie theater could become home to unique content beyond studio blockbusters and if one-of-a-kind entertainment events could draw audiences to cinemas on week nights and other off-peak times. Fifteen years later, Fathom Events is recognized as a leader in the event cinema industry offering ballet, classic films, comedy, concerts, drama and special screenings such as Alien Intrusion Unmasking the Deception for the public’s consumption. Upcoming Fathom Events include The Opera House, The Treasure of The Sierra Madre, Mary and the Witch’s Flower, Romeo and Juliet, Is Genesis History? and Digimon.